Come along for the ride! 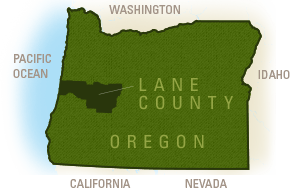 The Willamette Valley is a popular triathlon and bicycle racing destination. Cottage Grove, a bicycle-friendly community, hosts the Rolf Prima Main Street Criterium and The Oregon Gran Fondo. Cheer on a bicycle race, introduce your kids to cycling with bike events like Kidical Mass!, join a group ride or find a cycling safety class. Oakridge in the Cascades hosts the sellout Mountain Bike Oregon and esteemed Fat 55 Mountain Bike Marathon along with many organized rides over gorgeous mountain terrain.